Our library acquisitions system costs you nothing. Accounts are free, now and forever. The set-up is easy. The interface is based on familiar retail sites, making you a power user in minutes. Get an account and look around. You will find we run the best institutional source of academic books in the developing world. Set-up the EDU Books library procurement system for your university. Worst case? You get a free data source tailored to the developing world academic market. EDU Books has the lowest prices, best service and best selection for developing world academic libraries. It takes a lot to do this: scale, training, reliance on sophisticated technical systems and a relentless drive to cut costs for you. Generally speaking, if the book exists, you can get it from us at the lowest price. We run the best database of interconnected regional and replacement editions in the world. Our fulfillment and delivery are second to none, with a fixation on producing the least hassle transaction process possible. The cost of the book at the time of sale is the cost of the book in the invoice. We get the books to you on-time and in excellent condition. Our prices on international titles are the best out there. EDU Books purchases direct from the publisher and sell directly to you. We don't have multiple middle men taking a cut out of each book sale. The majority of the academic libraries we serve are in SAARC countries, India, Africa and the Middle East. It is what we are built for. It is what we do. Whether you run a small library with a limited budget in a remote region or manage the knowledge base for the jewel of your country's education system, we get you the lowest prices, best selection, and best service. 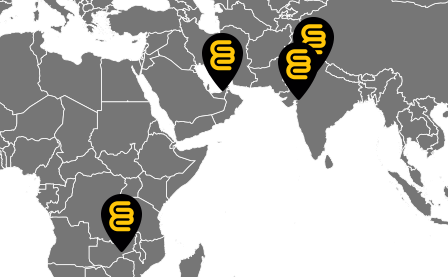 Our supply chain is tailored to minimize costs while maximizing delivery speed to this part of the world. Like terrestrial radio through the rise of TV, physical books aren't going away any time soon. Still, electronic editions of both books and journals are increasingly used in libraries throughout the world. An online platform is ideal for selling both physical and electronic books. Institutions need a different set of services and systems than retail customers. Neither of these are going to change. Our low price physical book distribution system is established and growing. Electronic book metadata is easy to integrate into our database. However, there is a general problem with electronic book offerings to date. Availability through existing consolidators is nearly impossible in the developing world. The systems were set-up for the developed world, and are too expensive for India and Africa. We are creating a catalog wide workable model for reduced price electronic books. This is naturally a publisher by publisher process, but it will be best for all involved in the long-run.